Osteopathy is a form of manual therapy that focuses on the connection between the body’s structures and how it functions. Osteopaths do this by focusing on how the bones, joints, muscles and nerves (neuromuscular system) interact together, whilst ensuring all areas receive adequate circulation, blood flow and lymphatic drainage, to improve your overall health and wellbeing. At Alstonville Osteopathy we take pride in our professions and in our training. All Osteopaths are under regulation of the Australian Health Practitioner Regulation Agency (AHPRA) and are therefore required by law to have completed a 5 year Bachelors and Masters Degree program through a recognised university. This allows your treatment to be covered by health funds, the Chronic Disease Management Plan (formerly EPC), WorkCover and the Department of Veteran Affairs. ​Osteopaths must also meet high professional standards and complete annual professional development education. We provide expert treatment and advice to people of all ages from newborns to the elderly and everyone in between offering many different services, tailored to suit your individual needs. ﻿Osteopathy or osteopathic treatment uses skilled evaluation, diagnosis and a variety of hands-on techniques ranging from massage and stretching to gentle mobilisation of specific joints and soft tissues. Osteopathy is suitable for all ages from newborns to the elderly and treatment is tailored to the individual and their specific requirements on a case by case basis. This is because different techniques work more effectively for different people depending on their genetics, flexibility, age, type of injury or condition and comfort level. Initial consult - what to expect? 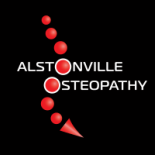 At Alstonville Osteopathy you can expect your Osteopath to take a thorough case history and an assessment of your posture and biomechanical movement patterns. We will then discuss with you a proposed treatment involving techniques aimed at improving your health and wellbeing. You may bring a friend or family member to your consultation and treatment if you wish and you can expect your initial treatment to last up to one hour. Most people feel more relaxed after treatment, with improved movement and decreased pain levels, it is not uncommon to feel tired after treatment so remember it may be a good idea to take it easy after any treatment to allow the body the rest it requires. Occasionally you can feel sore following treatment due to changes that have occurred to your body such as stretching and release of previously tight muscles. This can last between 24-72hrs. Ensure you remain hydrated by drinking plenty of water.